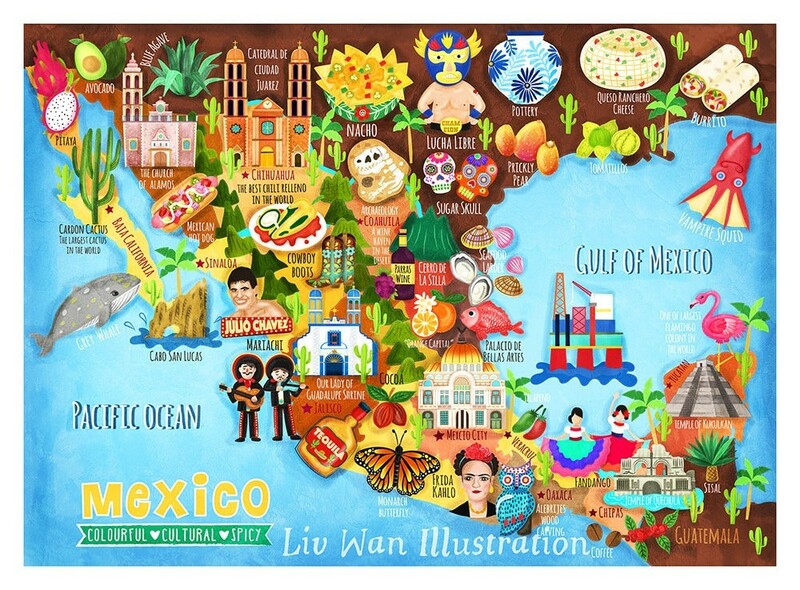 I illustrated this Mexico map illustration because I would love to visit Mexico one day. This postcard is like a mini version of my Mexico map illustration. The postcard has a matte finish and is perfect for writing on. This is a great souvenir and gift for your friends and family.